TaoTronics Inc. is not only a company that sells LED grow lights, but many other useful electronic products. The company prides itself in providing products with components that utilize the latest advances in technology. The company produces tech products for the office, car, pets, blue tooth and the home and garden. More specifically, TaoTronics.com offers electronic products such as car electronic accessories, computer parts and accessories, home entertainment products, office electronics, pet electronics and portable electronic devices. The home and garden division houses the companies LED grow light products. Although the home and garden division is only a fraction of the total company, TaoTronics Inc. is global and therefore accessed and utilized by many around the globe. TaoTronics has been in business since 2008 and has done business with millions around the world. TaoTronics Inc. is located in San Jose, California. The specific address for TaoTronics Inc. is 288- Zanker Rd. Ste 203 San Jose, CA 95134-2122. One can gain quick access to support by e-mailing support@taotronics.com. I needed a question answered regarding one of their grow light devices and they got back to me very quickly. I then had a follow up question that they also answered in a very timely fashion. Given the global nature and the broad spectrum of electronic devices that TaoTronics supports and sales, one can feel some assurance when dealing with a company of this scope. 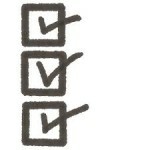 Some of the benefits that come when dealing with a company of this size is the customer service and support options. I will write on these aspects later in this LED grow light review. First and foremost comes the product review. My hope is that this LED grow light review helps you find the best LED grow light on the market. As you likely know, there are a great number of LED grow lights available on the market today. More and more individuals are deciding to grow at home, and with this demand comes a greater supply. TaoTronics Inc. has responded to this demand by offering several viable grow light options for indoor growers. Specifically, the company offers four models of LED grow lights for customers to choose from. The model being reviewed for this article is the TT-GL05 TaoTronics 90w LED grow light. In general, the model contains 45xLEDs and emits Red/Blue/Orange light wavelengths. It is reported, by TaoTronics Inc., that the TT-GL05 emits full spectrum light which covers 6 bands. The production of light across the spectrum enables the device to support the photosynthesis process for vegetables, plants, and flowers. The TT-GL05 grow light also contains three internal fans that act to cool the grow light equipment and thus help to stabilize the equipment’s temperature and also the temperature in the surrounding environment. The cooling fans help to save energy since no other additional cooling equipment should be needed for this product. This is a bonus for indoor growers that are constantly trying to keep their grow environment from overheating. The thermoplastic casing of the TaoTronic LED grow light consists of 90 pcs LEDs. 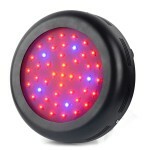 The ration of the red/blue/orange LEDs is 7:1:1. The colors emitted by the TaoTronics are specifically selected to optimize specific parts of a plants photosynthetic process. Red and blue light are very important for the indoor grower as many studies have revealed that the red and blue light wavelengths between 400nm and 700nm can be very effective at sparking the process of photosynthesis to optimize plant growth. Plants depend on chlorophyll a to harvest light and put it to good use. Chlorophyll b and carotenoids also support the photosynthetic process in plants. The light wavelengths emitted by the TaoTronics 90w grow light are specifically tuned in to the wavelengths plants need the most to grow well. Blue light supports the vegetative leaf growth and protein synthesis during the plants grow process. The red light emitted by the grow light supports flowering, flower extension and increased production during the plant’s grow process. Specifically, the wavelengths from 450nm – 460nm are utilized early in the plants vegetative stage of the grow cycle. This light range helps to maximize photosynthesis and is often cited as a time of peak absorption of chlorophyll which promotes vegetative growth. 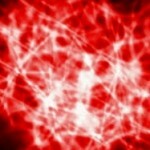 The wavelength range between 620nm and 640nm is within the red light range of the spectrum. 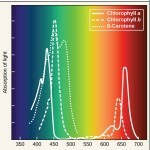 This light range helps to optimize chlorophyll absorption at its peak. This range is vital to form germination and support flowering. I have found that tuning in to the red and blue spectrum light is a primary component to providing the proper light recipe to enhance the grow process for plants. TaoTronics reports that the 620nm-660nm is an optimal spectrum for plant flowering and fruiting. The grow light manufacturer also report that the range between 450nm-460nm contain the maximum peak points for vegetative growth and absorption. I agree and have found this to be true. TaoTronics reports that the orange light wavelength can enhance leaf growth while also acting to attract insects for pollination. White LEDs are added to the mix to broaden the light spectrum emitted by their LED grow light. This is another reason that the LED grow light is better than other HID counterparts. LEDs are more efficient and effective when it comes to offering the right light that a plant needs to grow well. Excess spectrum light, that a plant does not necessarily need is minimized. Another point of interest, regarding the wavelengths emitted by the TaoTronics 90w LED grow light, is that the lights does not contain any infrared rays or ultraviolet light that has been shown in some cases to stunt plant growth. UV light from 100nm to 280nm has been shown to cause plants to shrivel and is generally harmful to plants. The TaoTronics 90w LED grow light is built to be energy efficient. 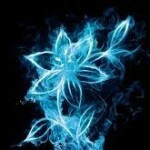 It is designed to present the light recipe that gives plants what they need without throwing off too much excess heat. The minimum amount of heat that the TaoTronics 90w LED grow light will produce is not only a cost safer, but also a safety bonus. Less heat means less potential for excessive heat production that might spark an accidental fire. The model is an energy saver and also saves a grower money since additional cooling equipment is not required. Recent research has shown that LED grow lights are many times more energy efficient than there HID counterparts. This is not only positive since it will save energy and therefore reduce the energy bills, but it will also free up grow room space. The space that was once needed for the costly and space taking fans and cooling systems that high powered HIDs required can now be made available for more plants. The TaoTronics 90w LED grow light allows the grower to take advantage of this aspect. It does not throw off enough excess heat that might stymie plant growth. Keeping in line with efficiency, the TT-GL105 is efficiently built. It weighs just over 5 pounds and has a diameter that is just under 11 inches. This grow light is capable of fitting into spaces that most HIDs can’t and that many other LED grow lights can not. If you are considering the transition from HID to LED, the TT-GL105 will allow you to remove space hogging ballasts that HIDs require. Energy and size efficiency are two big pluses for the TaoTronics 90w grow light. In the specific realm of LED grow lights, this model is smaller in size than many and as a result, might fit in perfectly to your small grow room space. The 90w TaoTronics LED grow light can provide the “just right” recipe of light wavelengths that will boost vegetative and flowering stages of a plant’s grow process by enhancing Chlorophyll production. The 90w model is efficiently built and runs without producing excess light and heat. The model can fit it to a tight spot and does not require additional cooling fans. TaoTronics has tested the light and states that it does not give off a heat signature that is commonly picked up by infrared cameras. It is relatively inexpensive and can be used to grow a variety of plants. Wattage is 90w – Based on your grow objective, it could be appropriate. Be sure to check out the specifications regarding light coverage and ask the seller for a free analysis of your grow situation. This type of communication can help a grower find out how many lights might be needed for a given grow space. 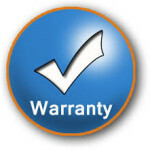 TaoTronics products all come with a full warranty that lasts 12 months from the date of the original purchase. Note that the TaoTronics grow light product must be purchased through an approved and authorized distributor. This LED grow light review was designed to be comprehensive with the aim of helping many match the best LED grow light with their personal growing needs. Finding a top LED grow light can be a daunting task, but this review can help you take a step towards growing big at home! Good Luck.